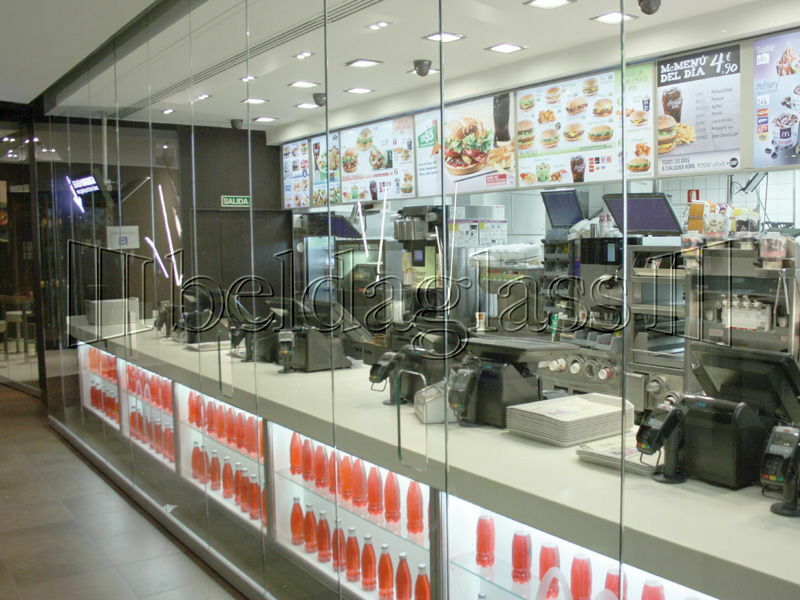 McDonals has developed together with Beldaglass, a sunroom or glass terrace that now McDonald’s includes to its new line of restaurants. 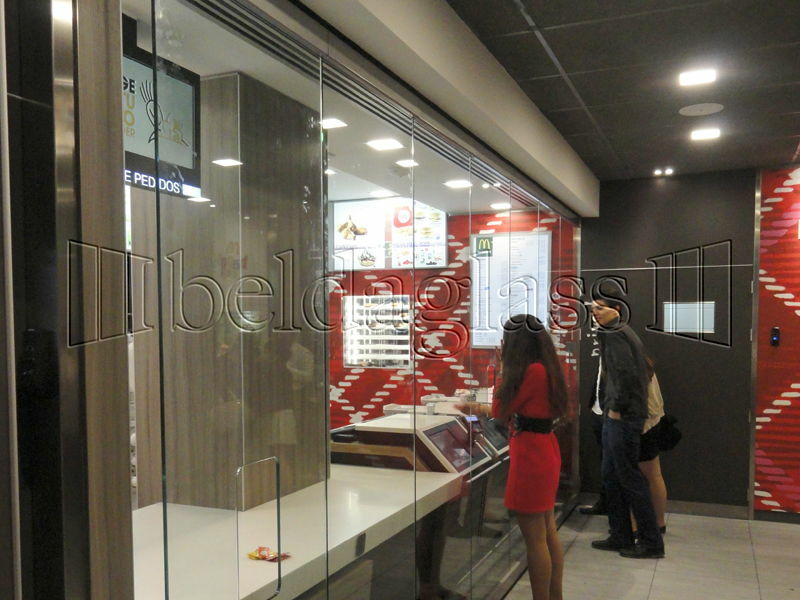 This project is about lighter restaurants regarding its construction and dimensions. The dining area is a large covered and close terrace with mobile glass walls or panels, which allow customers to have the feeling of being outdoors, but protected from the cold and the wind. But besides they also allow to fully open the terrace to the outside when the weather is favorable. 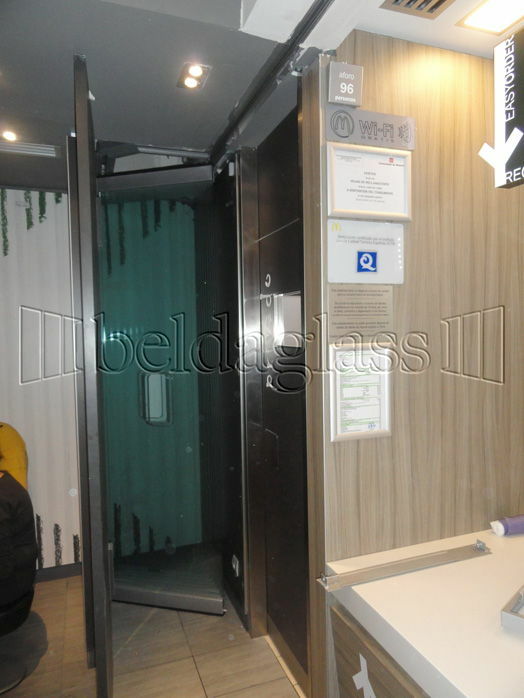 This system of movable panels, also called mobile glass walls does not need any down rail in the floor, so once the glass walls are retracted the space is completely unrestricted and without obstacles for customers. Besides our glass walls have very few manufacturing limits regarding the dimension of the panels, and we can make glass walls even above 4 Mts. high. 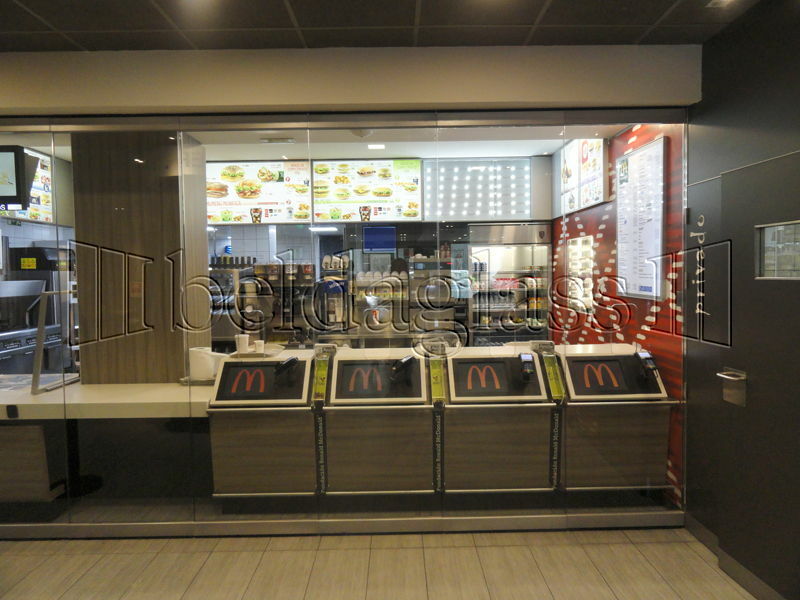 In this case for McDonals the panels are 3.50 meters. high and each panel is 1 mt. wide. The curved roof is made of polycarbonate of 20 mm.de thickness and 6 cells for greater thermal insulation, the polycarbonate panels are of 7.5 meters. of length. 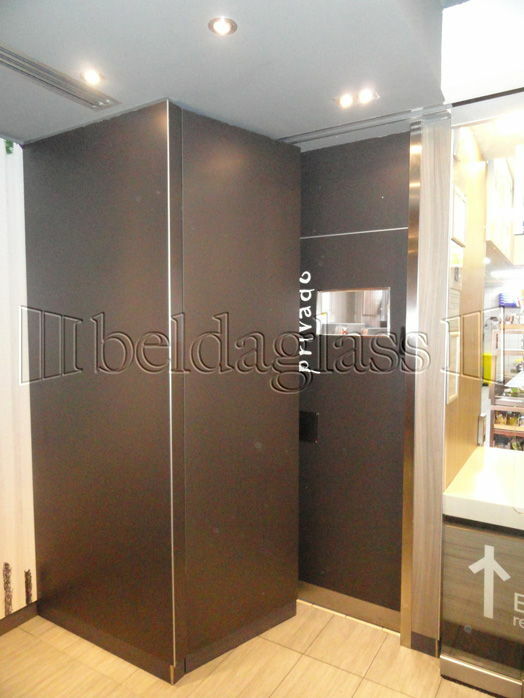 These versatile systems for restaurants and hotels had already been included in local shopping centres such as Muelle Uno in Malaga, or in ice-cream shop as Llaollao, which is for us a great pride that global companies incorporate our products in their projects and rely on Beldaglass for enclosures advice for their establishment. In Beldaglass we have over 25 years of experience in the industry and we are mature company which allows us to tackle all kinds of projects. We will be happy to assist you and advise on your new project regardless of the magnitude of that project. Here we are!